July 19, 2010 – The most complex airspace in the world, the National Air Space (NAS) encompasses an average of over 100,000 aviation operations per day, including commercial air traffic, cargo operations, business jets, etc. Additionally, there are over 238,000 general aviation aircraft that represent a wide range of sophistication and capabilities that may enter the system at any time. There are over 500 air traffic control facilities, more than 12,000 air navigation facilities, and over 19,000 airports, not to mention the thousands of other communications, surveillance, weather reporting, and other aviation support facilities. With this volume of traffic and high degree of complexity, through diligent oversight, the FAA maintains an extremely safe airspace. With regard to unmanned aircraft systems (UAS), the FAA sets the parameters for where a UAS may be operated and how those operations may be conducted safely in the NAS. The FAA’s main focus when evaluating UAS operations in the NAS is to avoid any situations in which a UAS would endanger other users of the NAS or compromise the safety of persons or property on the ground. The FAA recognizes the great potential of UASs in national defense and homeland security, and as such, The FAA strives to accommodate the DOD and DHS’ needs for UAS operations and do so without jeopardizing safety. Because airspace is a finite resource, to help mitigate risk, The FAA sets aside airspace for an operator’s exclusive use when needed. These exclusive use areas are known as Restricted or Prohibited Areas. The DOD conducts most of its training in such airspace. Along the southern border of the country, the DOD has elected to share that restricted airspace with Customs and Border Protection (CBP). However, the CBP also operates UASs in civil airspace, as discussed below. When new aviation technology becomes available, the FAA must first determine whether the technology itself is safe and whether it can be operated safely. Whether the technology is to be used by pilots or air traffic controllers, the FAA determines the risks associated with putting that technology into the NAS. Once the FAA address and mitigate those risks, the FAA moves forward with integration in stages, assessing safety at each incremental step along the way. Unforeseen developments, changing needs, technological improvements, and human factors all play a role in whether the new technology is safe enough to be permitted into the system. The FAA is using this same methodology to manage the integration of the new UAS technology into the NAS. While many view UASs as a promising new technology, the limited safety and operational data available does not support expedited or full integration into the NAS. For example, some of the data that the FAA does have comes from the CBP, and while they have reason to believe that the safety data that they do have may not be a representative sampling of UAS operations, it is all they have. To the extent that this limited data from CBP are representative, they suggest that accident rates for UASs are higher than in general aviation and may be more than an order of magnitude higher than in commercial aviation. For example, from Fiscal Year 2006 to Fiscal Year-to-Date 2010 (July 13, 2010), CBP reports a total of 5,688 flight hours. The CBP accident rate is 52.7 accidents per 100,000 flight hours (the standard safety data normalization factor/the standard on which safety data is reported). This accident rate is more than seven times the general aviation accident rate (7.11 accidents/100,000 flight hours) and 353 times the commercial aviation accident rate (0.149 accidents/100,000 flight hours). While the CBP accident rate appears to be higher than general or commercial aviation, the CBP’s total reported flight hours of 5,688 are very small in comparison to the 100,000 hour standard typically used to reflect aviation safety data and accident rates. CBP has had seven deviations (where the aircraft has done something unplanned or unexpected and violates an airspace regulation) so far this fiscal year in over 1,300 hours of flight time, as compared to the five deviations in 1,127 hours of flight time in Fiscal Year 2009. Continuing review of UAS operations will enhance FAA’s ability to assess the safety to improve ongoing use of this technology. This is the crux of the FAA’s responsibility. More data is needed before an informed decision to fully integrate UASs into the NAS can be made. Because of this, the FAA must make conservative decisions with respect to UAS NAS integration. Until such time as the data can support an informed decision to integrate UASs in the NAS – where the public travels every day, in accordance with FAA safety mandate, the FAA must continue to move forward deliberately and cautiously. For UASs to gain access to the civil airspace, the FAA has a Certificate of Waiver or Authorization (COA) process. This is the avenue by which public users (government agencies, including Federal, state, and local law enforcement, as well as state universities) that wish to fly a UAS can gain access to the NAS, provided that the risks of flying the unmanned aircraft in the civil airspace can be appropriately mitigated. Civil UAS operators must apply for a Special Airworthiness Certificate – Experimental Category to gain access to the NAS. This avenue allows the civil user to operate the UAS for research and development, demonstrations, and crew training. The Special Airworthiness Certificate does not permit carrying persons or property for compensation or hire. Commercial UAS operations in the U.S. are not permitted at this time. Risk mitigations required to grant a COA frequently include special provisions unique to the requested type of operation. For example, the applicant may be restricted to a defined airspace and/or operating during certain times of the day. 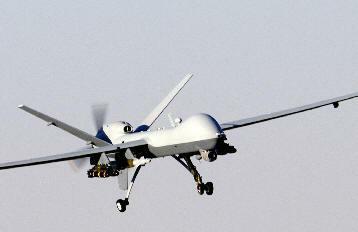 The UAS may be required to have a transponder if it is to be flown in a certain type of airspace. A ground observer or accompanying “chase” aircraft may be required to act as the “eyes” of the UAS. Other safety enhancements may be required, depending on the nature of the proposed operation. To apply for a COA, public entities may submit an application online with the FAA. The FAA then evaluates the request. Internally, Air Traffic Organization (ATO) first examines the application for feasibility, airspace experts review and ensure the operation will not severely impact the efficiency of the NAS. The application is then sent to Flight Standards to evaluate the operational concept, the airworthiness release of the aircraft, the pilot/crew qualifications, and the policies and procedures used by the operator. From that in-depth evaluation, special provisions are written. These internal FAA offices then confer together to address any remaining concerns and harmonize the provisions needed to ensure the safe operation of the UAS. Once these steps have taken place, the COA is signed and given to the applicant. The FAA has recognized the need to streamline their process for evaluating Certificate of Waiver or Authorization (COA) applications. To address the timeliness concerns of applicants, the FAA is working to simplify the COA process and has also increased staffing levels by more than a dozen people. The FAA is working to better standardize the review process and increase communication and transparency between the agency and the applicants. The FAA takes this process seriously and while they are taking specific steps to improve the COA application process, they will always take the time needed to ensure these operations can be conducted safely. These efforts are already showing improvements. In 2009, the FAA issued 146 COAs. So far this year, they have issued 122 COAs, and are on track to issue over 200 this year. At the current time, the FAA has 268 active COAs on 133 different aircraft types, issued to 151 proponents. CBP currently has 11 COAs issued to them. Normally, COAs are worked on a first-come, first-served basis. However, given that there are emergency and disaster situations where the use of UASs has saved lives and otherwise mitigated emergency situations, the FAA has issued three special disaster COAs, one to CBP and two to the DOD. Both agencies have requested COAs using the special process, and most disaster COAs have been issued before either agency had the aircraft and personnel in place to fly the mission. In addition, there is a second type of special “emergency” COA. Emergency COAs have been used to help with California wildfires, the Deepwater oil spill, and special law enforcement missions. These have been issued in minutes or hours, not days and weeks. The FAA has issued three disaster COAs and 16 emergency COAs to CBP for its use. These are only a few of the many improvements that the FAA is implementing to address the concerns with the COA application process. In the meantime, the FAA is working with their partners in government and the private sector to advance the development of UAS and the ultimate integration into the NAS. First, in accordance with Section 1036 of the Duncan Hunter National Defense Authorization Act (NDAA) for Fiscal Year 2009, Public Law 110-417, the DOD and FAA have formed an Executive Committee (ExCom) to focus on conflict resolution and identification of the range of policy, technical, and procedural concerns arising from the integration of UASs into the NAS. Other ExCom members include DHS and the National Aeronautics and Space Administration (NASA) to capture more broadly other Federal agency efforts and equities in the ExCom. The mission of this multi-agency UAS ExCom is to enable increased, and ultimately routine, access of Federal public UAS operations into the NAS to support the operational, training, developmental, and research requirements of the FAA, DOD, DHS, and NASA. All of these partner agencies are working to ensure that each department and agency is putting the proper focus and resources to continue to lead the world in the integration of UAS. We thank the Congress for enabling the formation of the ExCom to advance the work of UAS integration into the NAS and streamline the COA process. The FAA expects small UASs to experience the greatest near-term growth in civil and commercial operations because of their versatility and relatively low initial cost and operating expenses. The agency has received extensive public comment on small UASs, both from proponents who feel their size dictates minimal regulation and from groups concerned about the hazards that UAS pose to piloted aircraft as well as persons and property on the ground. In April 2008, the FAA chartered an Aviation Rulemaking Committee (ARC) to examine these operational and safety issues and make recommendations on how to proceed with regulating small UASs. The agency has received the ARC’s recommendations, and is drafting a proposed rule. Ensuring the safety of all airspace users while not putting undue burdens on small UAS operators is a challenging task; the FAA hopes to publish the proposed rule by mid-2011. 1. How will UASs handle the challenges of communication, command, and control? 2. How will UASs “sense and avoid” other aircraft? These activities are targeted for completion before 2015. Unmanned aircraft systems are a promising new technology, but one that was originally and primarily designed for military purposes. Although the technology incorporated into UASs has advanced, their safety record warrants careful review. Now, as the FAA attempts to integrate these aircraft into the NAS, the FAA will take a hard look at the risk that UASs pose to the traveling public as well as the risk to persons or property on the ground.